The determination to bring a piece of Korean culinary heritage to Hong Kong can be difficult. This is especially seen in TST, where Korean restaurants populate Kimberley Road and face a great deal of competition. However, Ssal Bori Ssal, the first-ever makgeolli restaurant in Hong Kong, is poised to stand out from the pack. Determined to conceptualise itself as a makgeolli specialist, Ssal Bori Ssal offers an array of authentic Korean dishes paired with different types of makgeolli, a fermented rice- or wheat-based alcoholic beverage native to Korea. 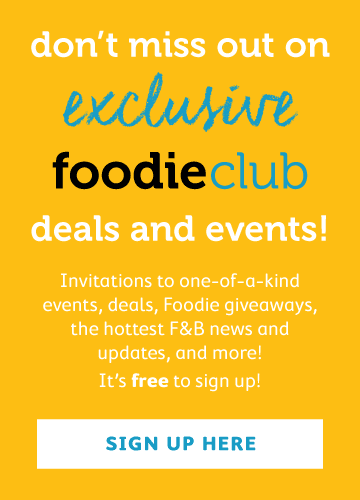 In addition, the restaurant is proud to showcase their international, award-winning Boksoondoga makgeolli, which is only available in Hong Kong. Walking into the restaurant, the small interior is rather unassuming, consisting of simple wooden chairs and tables with a bar tucked in at the back. The food, on the other hand? This proved to be the complete opposite: homey, comforting, authentic and flavourful. Throughout the evening, I learned that the top pairings with makgeolli are Korean pancakes, pork dishes and spicy dishes. 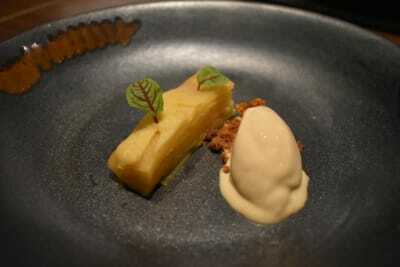 The two highlights of the meat dishes were the braised pork trotter ($260) and the pork ribs ($250). The trotter had been braised for two hours, using about 15 Korean herbs and spices for an authentic taste and appearance. 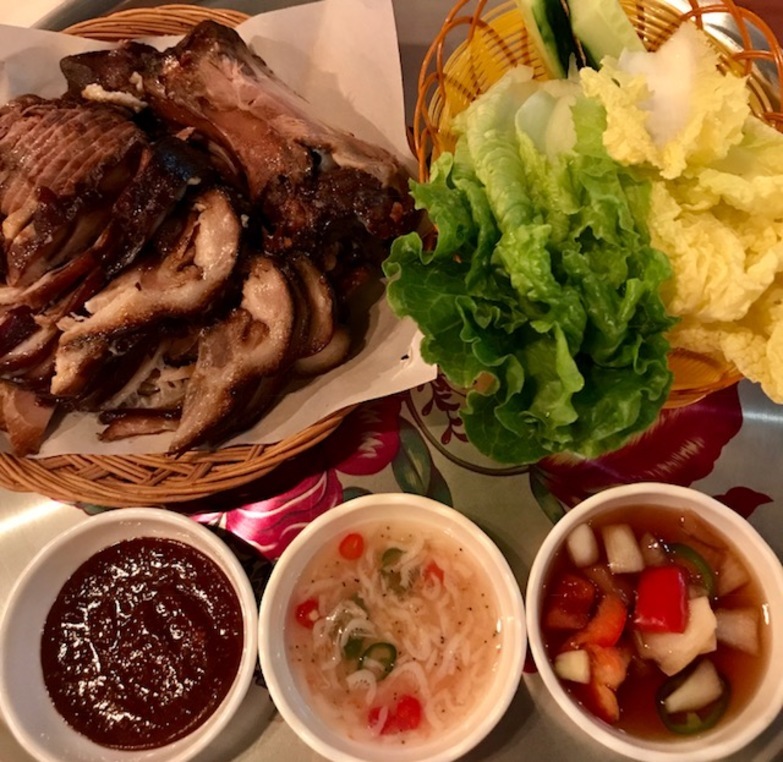 The pork ribs – which were my favourite and are one of Ssal Bori Ssal’s signature dishes – incorporated traditional Korean herbs and spices but were given a modern, comforting twist. The base of the house-made sauce used for the ribs is gochujang (red chilli paste) that had been fermented a day before use. 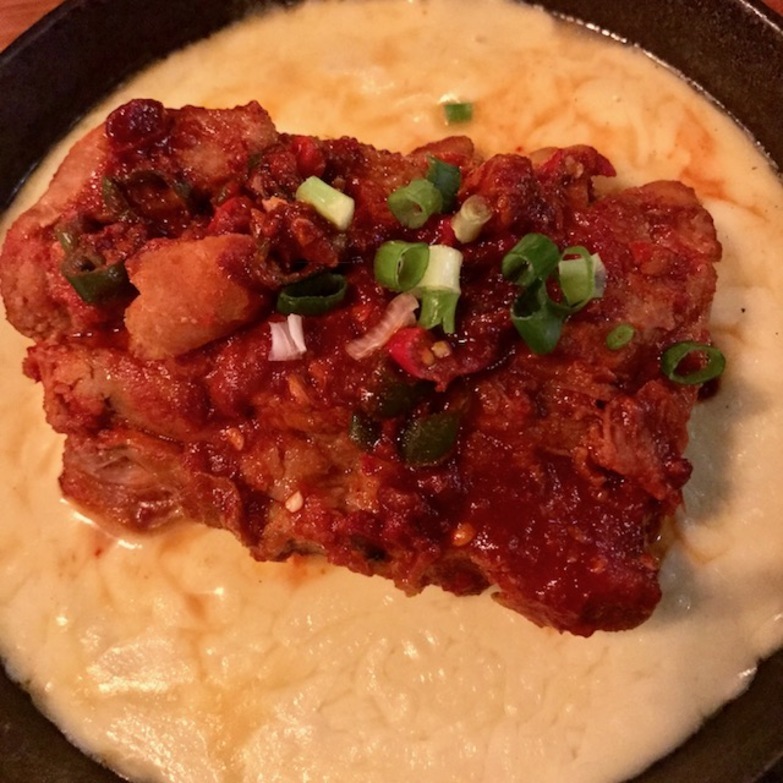 The ribs were served in a hot skillet of melted mozzarella cheese, which we twisted into the ribs and ate all together. Kimchi pancakes($80) and spicy seafood and fishcake soup ($150) were then served to finish off the hearty meal. 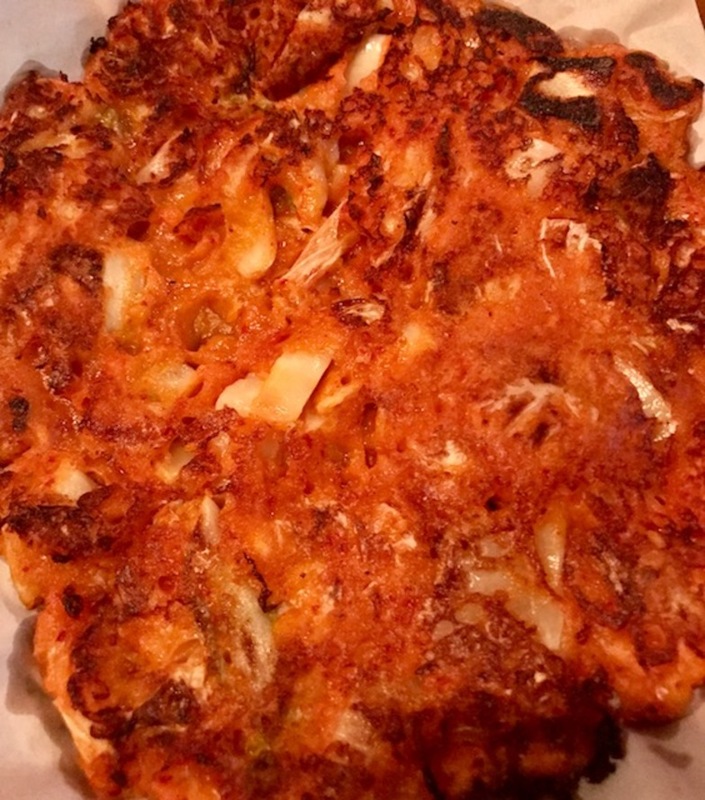 The kimchi used for the pancakes had been fermented for about a week and gave the pancakes a spicier and more robust flavour. The hot soup was served in a small iron pot with a large tea light underneath. 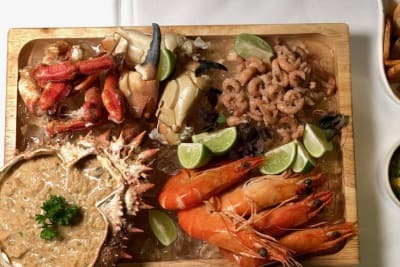 Packed with fresh seafood, fishcake slices and bean sprouts were added for flavour. This was all brought to a slow boil for about 20 minutes with gochujang and homemade chilli oil. The makgeolli was served near the end of the meat dishes, with different samples offered throughout the night. To be frank, I’ve only had makgeolli once, which was at another Korean restaurant, but I was ready to try what Ssal Bori Ssal had to offer from their collection. 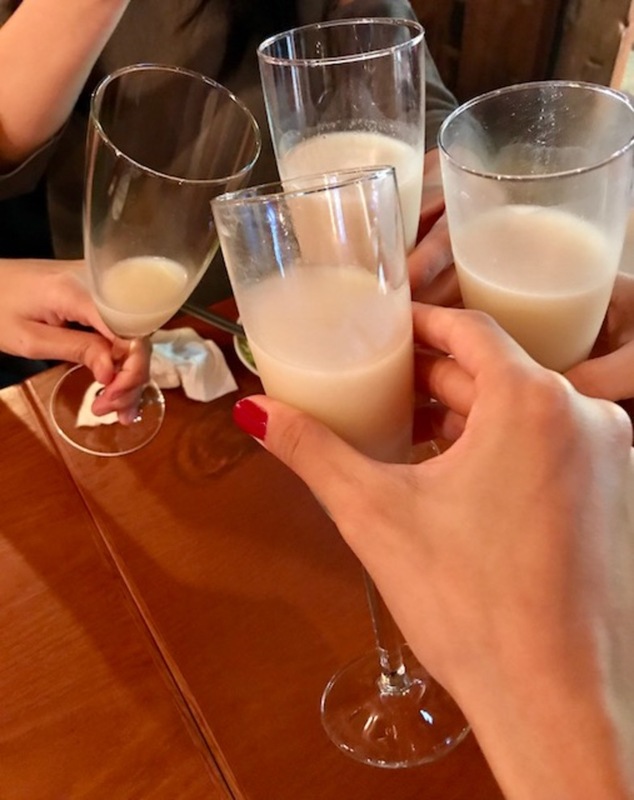 Makgeolli, if you have never heard of it, is a slightly sweetened rice- or wheat-based beverage mixed with nuruk, a fermentation starter, giving it a naturally light carbonation. The alcohol content is low, ranging from 5–9%. Makgeolli is usually an off-white, cloudy colour. The one downside of this drink is that it has a very short shelf life. Most are only good for about one month and must be refrigerated. Makgeolli also usually needs to be mixed gently before drinking. Among the makgeolli I sampled, my favourites were the Hodam wild ginseng fresh makgeolli ($128), the iconic Boksoondoga makgeolli ($240) and the Gapyeong pine nut fresh makgeolli ($128). Each bottle was produced from a different region of Korea, containing a different level of carbonation and flavour, depending on the type of rice used. The Boksoondoga makgeolli best paired with the kimchi pancakes and spicy seafood and fishcake soup. Boksoondoga is naturally carbonated, having the most unique features amongst the lot. With no mixing required, the bubbles carry the rice upwards, with the bubbles mixing the makgeolli together and creating a fun textural element on their own. 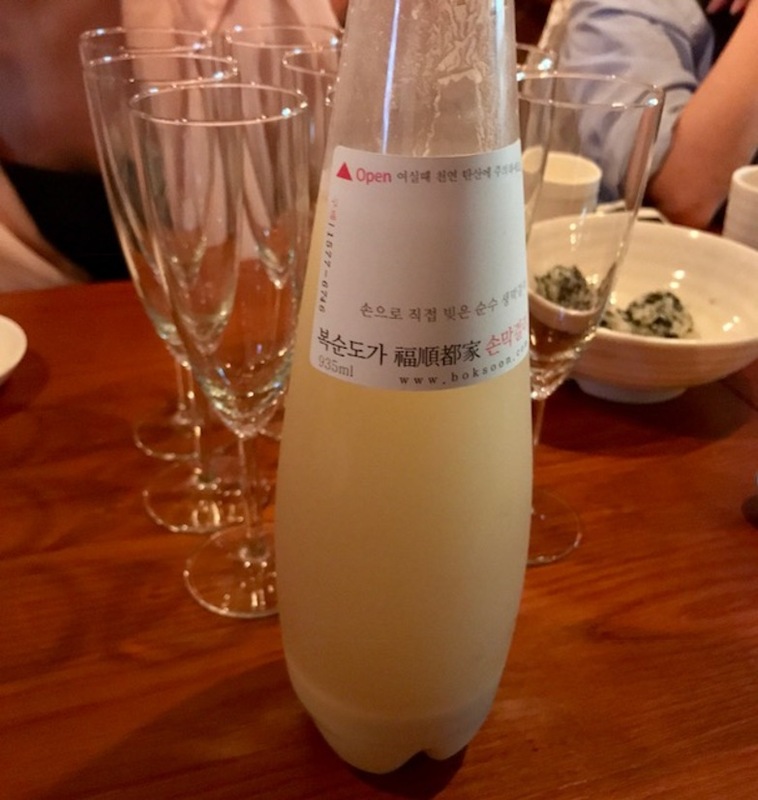 This makgeolli has a slightly sweet yet tart, yoghurt-y taste, which complemented and lessened the burning sensation from the spiciness of the kimchi in the pancakes and the chilli in the soup. 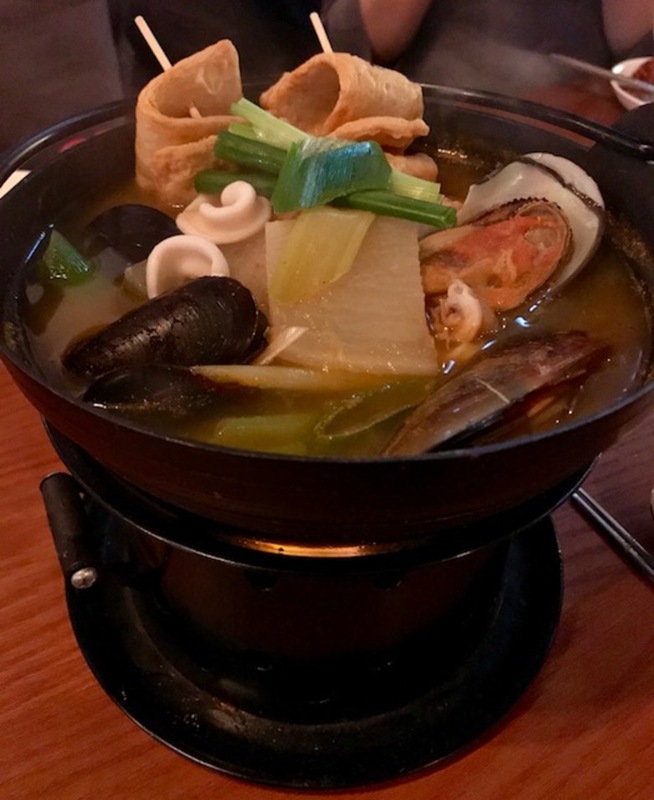 The Gapyeong and the Hodam makgeolli also had their own special flavours, incorporating traditional ingredients and giving the makgeolli a bit of flair. The Gapyeong, which was served halfway through the meat-heavy courses, was infused with pine nuts, giving the pork ribs a nutty fragrance and enhancing the deeper flavours of the braised pork trotter. The Hodam was a bit more unique, infused with wild ginseng, giving a spicy and refreshing taste, perfect as an after-dinner drink. 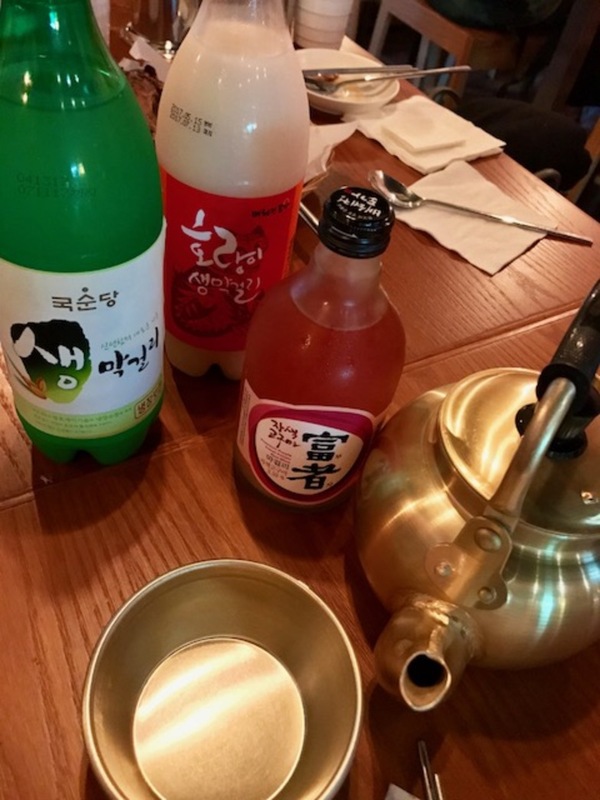 Introducing traditional makgeolli paired with homey, soul-restoring, spicy dishes, Ssal Bori Ssal has conceptualised this Korean native beverage to be revived as a trendy drink amongst foodies and keen restaurant-goers. This casual spot has branded itself as the first makgeolli speciality bar in the heart of TST with a top-class collection of premium makgeolli.